A partial list of past event locations. There were many, many more. 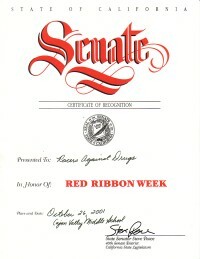 The California Senate presented a certificate of recognition signed by Senator Steve Peace to Racers Against Drugs for our Red Ribbon Week activities. Our services are available to schools and other organizations. We charge no fee for our services. to schedule an event at your school or organization. 1. we give a safety presentation that gets the kids interacting with the presenters. 2. We segue to the drug use prevention presentation, keeping the kids interacting with us and the school staff. 3. After the presentation there is an autograph session. 4. 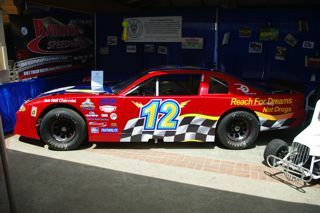 The students and staff members have access to the race cars as a fun, positive feeling to go with reception of the message. 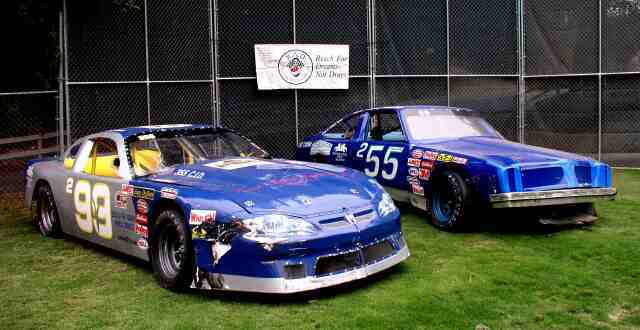 Racers Against Drugs is available to come to your school or event in the San Diego area. We believe that children can be whatever they choose to be, as long as they reach for their dreams, and not drugs. 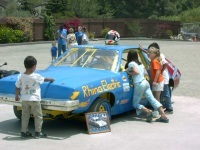 We use racing as a means to reach the kids. We have many different venues of racing involved in RAD, and will gear our presentation to suit your particular needs. Each child in attendance will receive a RAD pencil and all drivers will be available for autographs. Please give us a call, and we will be glad to help in any way we can. We charge no fee for our services.